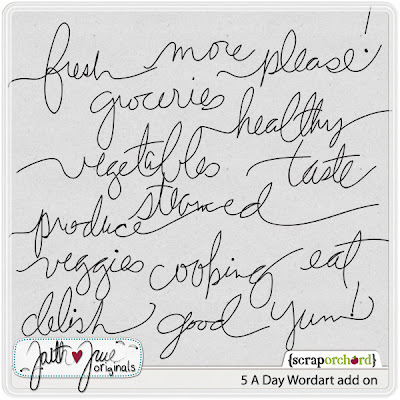 Getting your daily allotment has never been easier or more fun! 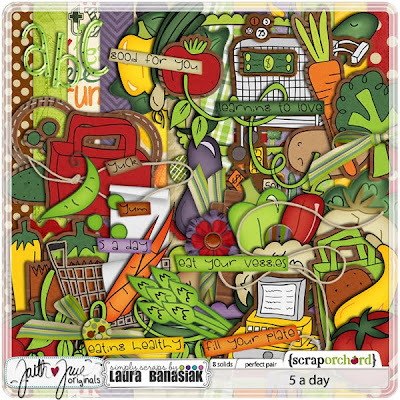 Faith True and Laura Banasiak have teamed up to bring you this great collab full of bright colors and hand-drawn vegetables called Five a Day. The kit is currently on sale, and with the purchase of the kit - you get the adorable word art pack for free! I found this great photo I took with my photo when Kyan was just a little over 1 year old. He had left a pea on his nose while trying to finish his dinner. It was too cute!! 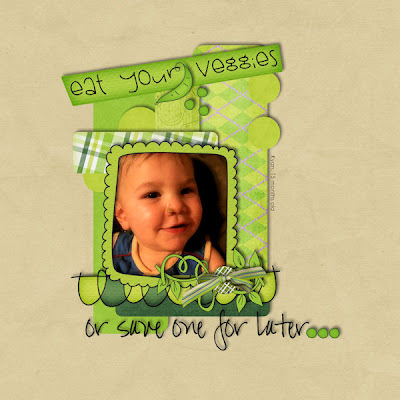 I created it for the Life a Layout Challenge at Scrap Orchard.